bjimba's bjimblog: TiltShiftMaker.com - online tilt-shifting! I don't know if you've ever seen photos manipulated by a process known as tilt-shifting. Basically, it makes a real-world photograph look like it's a photograph of a miniature model. 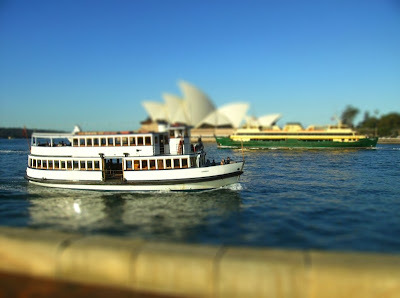 Well, now you can create your own tilt-shifted photos, really easily, via a website called TiltShiftMaker. Here's a sample. This is a photo I took during our trip to Australia, of some boats in Sydney Harbor. Such a beautiful post.Great work keep it up.This is one of the good collection.